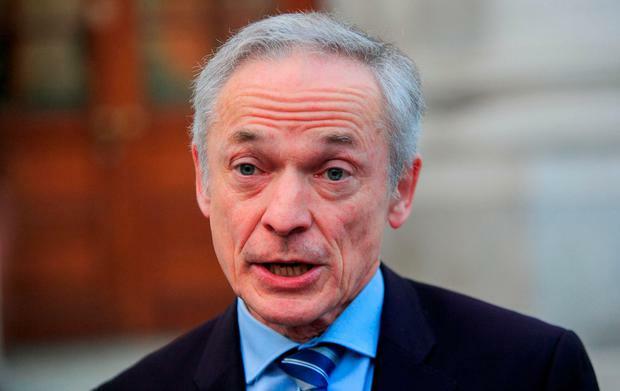 A draft plan outlining how Ireland will reduce emissions will have to be "significantly" altered and updated to reflect a growing level of ambition, Climate Action Minister Richard Bruton has said. The first draft of Ireland's National Energy and Climate Plan (NECP) will be submitted to the European Commission this week, but will have to include a raft of new measures before being finalised at the end of 2019. The plan analyses the impact existing policies will have on reducing emissions, including the climate measures costing €22bn set out in the National Development Plan. The analysis says that while they will reduce emissions by 22 million tonnes between now and 2030, they will only account for a third of the cuts required. "It points to the need for a significant step up if we are to deliver on our ambitions and global commitments," Mr Bruton said. "This is a draft. There will be significant changes. We will be bringing forward new policies to significantly step up our ambitions. We are now setting about nailing down what those ambitions will be." The minister said he had met with heads of Government departments this week to assess the measures that could be enacted to drive ambition. While the NECP highlights several initiatives in place - including boosting renewable energy from 30pc at present to 55pc; converting 20pc of the national fleet to electric; closing Moneypoint power station by 2025; and upgrading homes - more will be needed. Friends of the Earth director Oisín Coghlan said the new Government plan on climate "will have to be at least as strong as the Citizens' Assembly recommendations".